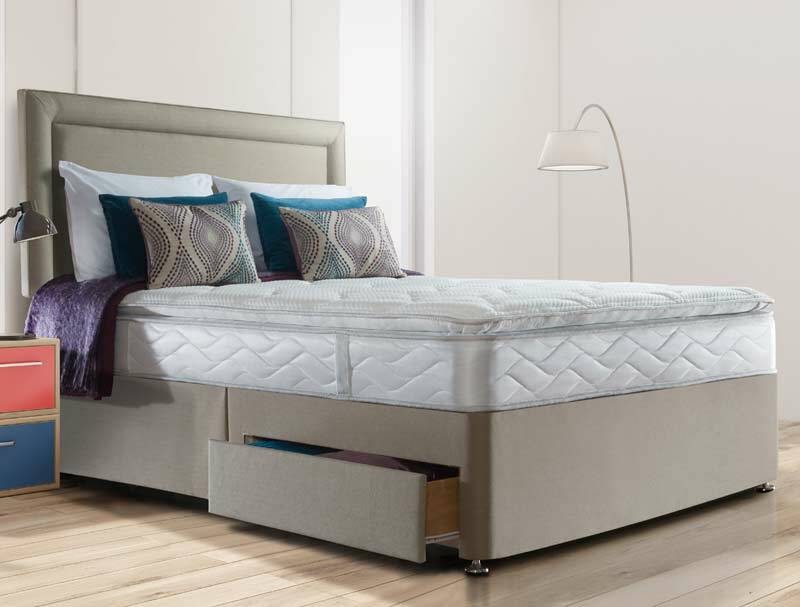 The New Pearl Luxury is a new quilted pillow top divan bed that offers the benefits of a 620 posture tech posturpaedic spring mattress with the addition of a quilted deep cushioned pillow top. This mattress like all mattresses in the new Sealy Pearl range is non turnable , although it is supplied with handles to help with rotating from head to toe. 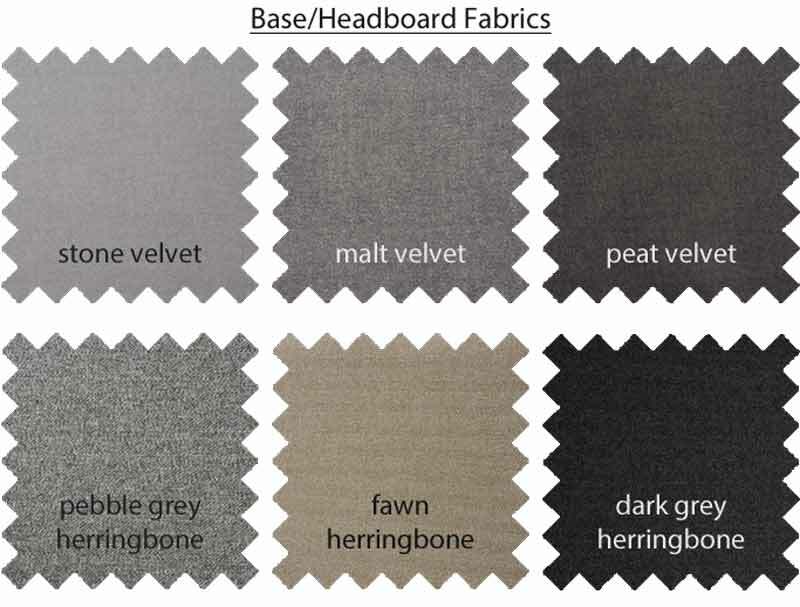 The mattress sits on the top of a platform top hard base which is available in 6 exciting fabric colourways such as stone and Malt velvet like fabric and Fawn and Pebble herringbone style fabric . Drawers are a option with the choice of 2, 2+2 or 4 drawers or you can upgrade to a manual end open ottoman base . The Headboard pictured is called Malvern and is one of 3 headboards on legs and 3 floor standing headboards that are all available as an upgrade in the same fabric as the base.